Have you ever wondered what the phrase “multi-site church” really means? Maybe you’ve heard and thought it might be something that you’d like to employ in your own church. I didn’t know much about it, and then I saw this video (below) that led me to the book A Multi-Site Church Road Trip. Take a look at this clip. If your interest is piqued, click the link to read my review of the book. Most of us in pastoral and church leadership circles have heard the term multi-site. My current church talked about the idea ourselves a couple of years ago. I went online and downloaded some information, but ended up with more questions and concerns than answers. In the time since then I’ve gone cold on the subject. Then I had the opportunity to receve A Multi-Site Church Road Trip (Zondervan, 2009) as they sent out copies to bloggers and reviewers. I figured this was my chance to get a better handle on the concept. I didn’t realize how ignorant I was of the scope of multi-site churches. For example, I considered multi-site a model. Many of the reservations I held about the concept stemmed from the preconception that it was a model, duplicated fairly similarly between each church that utilized it. In fact, each church brings its own interpretation and realization to multi-site, fleshing out its core values according to its own vision and mission. One of the most interesting lessons I learned is in regards to DNA. Vital to implementing multi-site is being able to recreate your DNA in each venue. I had previously assumed that your DNA included every aspect of your church: design, format, style, etc. But transferring your DNA to another site is really more simple than that. Your DNA is your vision, mission and values, the core of who you are that has already been tested. Starting a rock-style service in the gymnasium for young adults with a video feed to the preaching is actually creating a second venue. The book circulates between various churches encompasses the “road trip” part of the title. The authors have visited and interviewed these church leaders, learning about each one and delving into the knowledge base each has developed. People ask why I read so many books each year. I tell them that I’d rather learn lessons through the books of those who have worked through the issues before than to start over and reinvent the wheel. There is a wealth of knowledge in the experiences of each church along the way. 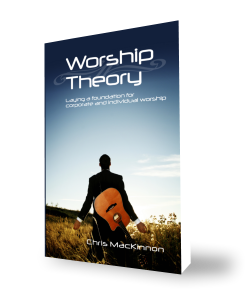 Every chapter explains one facet of the concept that is modeled by that church. While your church may not need some of the information, you will be encouraged to try and explore others that meet the needs of your own church. In Chapter 4 you learn about the various location options for your next site. Chapter 6 explores the technology and personnel needs for an internet campus. Multi-site churches can run into structure and leadership issues; find out about ways to deal with them in Chapter 8. As you are growing and other churches want to partner with you, how will you assimilate them as another campus/site? Find out how LifeChurch.tv handles it in Chapter 11. How many sites do you need? How many can you launch at once? Is it possible to go international? These are some of the questions answered in this book. I feel I should also mention that when “Road Trip” answers it question, the authors don’t tend to take a side note approach to it. They are purposeful in providing concrete examples from various churches, retellings from pastors and church leaders, and share the rough spots with the happy ending. It’s in depth, but it isn’t tedious. It’s eye opening and heart catching. A Multi-Site Church Road Trip is a recommended read for anyone wanting to know what multi-site is about. It is a must for any pastor/board and leadership team that is even remotely considering multi-site. It helps open you to the possibilities, to the reality that multi-site happens in different ways and you don’t have to be worried about the box it is often dropped into. Thanks to Zondervan for providing my copy of “A Multi-Site Church Road Trip” for review. ‹ PreviousIs THE Gospel YOUR Gospel? Well, the article is really the greatest on this deserving topic. I agree with your conclusions and will eagerly look forward to your incoming updates. Saying thanks will not just be sufficient, for the fantasti c lucidity in your writing. I will at once grab your rss feed to stay privy of any updates.Pleasant work and much success in your business dealings!Thank you. Lovely! I always like your posts and this one is simply fantastic! You have done a cool effort and I wish your blog will reach the topmost rankings soon! We are always with you mate! It’s sort of half and half. I customize the side bars a lot. The general format is basic out of WordPress.